Winterton is a small town situated on the banks of the Tugela River in the foothills of the Drakensberg mountains, KwaZulu-Natal, South Africa. Change things up with these side-trips from Winterton: All Out Adventures (in Bergville) and Himeville (Sani Valley Lake and Nature Lodges & The Himeville Museum). 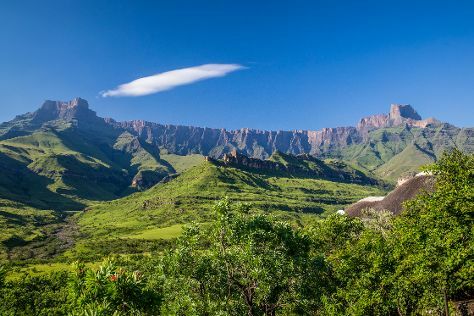 Next up on the itinerary: take in the awesome beauty at Drakensberg Mountains, do some rugged touring at local off-road trails, surround yourself with nature on a nature and wildlife tour, and examine the collection at Winterton Museum. For more things to do, where to stay, and more tourist information, refer to the Winterton tour planner. Johannesburg to Winterton is an approximately 4-hour car ride. You can also fly. Wrap up your sightseeing on the 24th (Mon) early enough to travel back home.